Ty Classic Outback 70023, the Silver Grey and White Koala will bring smiles and joy to people of all ages! 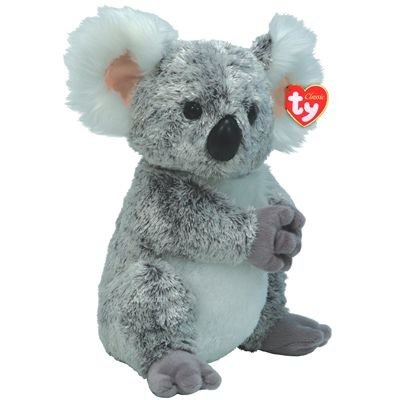 The koala plush stuffed animal sits about 10 inches tall, and has clasped hands, and Fuzzy Ears. It's adorable, and easy to carry around. Enjoy this beautiful koala from Ty.